The recent report on fathers who don't take paternity leave (Some 45% of new fathers said they did not take paternity leave) and the fact that David Cameron took paternity leave has put paternity leave in the news over the last few weeks. There has been plenty of chat in the media and radio phone in's, I have noticed some people have questioned why fathers are not taking paternity leave. I have even heard that they think some fathers who don't take paternity leave are bad fathers. They don't understand why they haven't saved up. Well as a father to be and someone who is not taking paternity leave I can tell them why. I can't afford it, simple as that. I would receive from the government £124.88 a week for two weeks. This is below the minimum wage for a 40 hour week. At the moment I need all the money I can get. Of course you could ask, If you can't afford to have a baby then don't have one? Well I can afford to have a baby I just can't afford to take a cut in my salary as I need to save for a bigger flat, car and all the other related baby costs. In my girl friends case she suffers from a medical issue which normally means she can not get pregnant. But we had a little miricle so there is no way we would ever let this baby go and beside for us we could never have an abortion especially bearing this medical point in mind. It's a chance we can't passup. So for the above reasons I decided to take 5 days holiday when the time comes rather than paternity leave. The figures do not take into account that fathers to be could be taking holiday to cover the first week. I'm not asking myself for more money, I'm just pointing out that father are not bad for not taking of paternity leave. Fathers may need to earn money to help with their new life. Lets not be so quick to judge when we do not know the full story of Britains fathers and fathers to be. OK I admit it. If the Liberal Democrats were in opposition I think I would argue that the Institute for Fiscal Studies report was a sign that the Labour government is not progressive. So I guess this means that the coalition budget is also not progressive within the confines of the report study. At least I never used the IFS report released during the Gernal Election campaign on rated unspecified cuts in spending to claim that the Liberal Democrats had the best result as I only believe the report showed how all parties where not telling the full story on cuts. See 'Institute for Fiscal Studies has condemned all 3 main parties‏'. This earlier report does reassure me that the commissioned by the End Child Poverty campaign is not political as that report did not rate Labour as the best. Crash Bang Wallace I think is wrong to claim that its 'Time for the IFS to come clean – they swing to the Left'. But I am confussed as the report does not take everything the government is currently and will be doing into account. I don't believe the way to raise the poor out of poverty is to simply do it though benefits. From what I have read this report takes benefits very much into account. The way to get people out of povety is for them to have well paid jobs and regular work with a progressive decrease in benefit support as they earn more.This is the type of work Iain Duncan Smith is looking into and the type of benefits that will cost but pay in the long term. The second point is that while it may or may not of been right to cliam the budget as progressive. It is overall government policy not just the budget that makes a difference to the income and out goings of the poor. This report only targets the budget. Other bloggers for example Caron Musings So who's right on Budget, IFS or the Coalition? is somewhere between the two. I agree with that, but it is very hard for us layman like me to judge. Split Horizons thinks thatIFS Study Shows What Won't Happen . Again that is also right in my view as it does does not include factors like the economy or other policy. Next Left states thatCoalition supporters, there IS an alternative to "IFS denial" over the regressive budget. I'm not a in denial myself I'm just confused as I simply do not know if the budget really was progressive or regressive. I would like to use this report as a pointer that we need to be more progressive so that the coalition can really demostrate that it is progressive. But the coalition willneed to beable to sight other factors such as making work pay. One thing is for sure, this is not a good report for a progressive coalition and we must not simply dismiss it but use it to be more progressive in the future. I hope to be less confused after the next report on the next budget. I hope it will be harder for bloggers to argue against the progressive nature of the coalition. On the right hand side of Bracknell blog you will see a small advert for a local community event. This event is being held at St Georges School in Ascot and is organised by the Alzheimer's Society. This is a family event which a has the aim of raising money to fight dementia. After the walk there will also be a number of stalls which includes the coconut shy, Tombola, Ascot races, pay for a song and many more. Alzheimer's to me is the disease I hate the most having seen its effects on a member of the family I have to say it scares me more than any other disease. Anyone can get this it doesn't matter how intelligent you are how active you are you can still get this disease. So anything that can be done to fight this incurable disease is time and money well spent. Bracknell Blog does not believe in advertising on this site but I am more than happy to display any local charity or community not for profit events on the blog page. Please do let me know if you also want your poster on this blog and I will consider it. Sunny Hundal at Liberal Conspiracy has written an excellent blog today which match my thoughts on the rumours of Charles Kennedy and others defecting to Labour. I very much agree with him that Labourites don’t under Libdems and it was odd that Kennedy took so long to respond. We all know that Charles abstained from the vote to join the coalition and wrote his thoughts down on my in the Guardian see Charles Kennedy: Why I couldn't support Clegg's deal with the Tories. In Kennedy defence in responding in time it should be remembered that Liberal Democrats are not as fast with the media as the other two parties. We are simply not as geared up to respond and operate to breaking stories and this does make us look bad. On the plus side this does mean your getting less spin from the Liberal Democrats. Kennedy is also on holiday at the moment and doesn't have contact with twitter or blogs like some politicians and their staff do. He has also just had a rather bad time personally with his marriage breakup. I dare say that as Liberal Democrats who are outspoken will get themselves in the press for it and we will see more of these stories. But I'm confident that no MP will leave the Liberal Democrats because of it. Todays link is to crikey.com pollbludger blog in Australia which covers all the happenings in the General Election which ended in a hung parliament. Recently there has been claims of cuts to pensions, child benefit or winter fuel allowance and other so called middle class benefits (really universal benefits). I would just like to remind the frenzied media that this is all speculation. Yes these benefits are part of the discussions but you don't know what the conclusion are and nor will we for months. Perhaps some of these benefits will be means tested or perhaps those cuts won't happen. Who knows I don't and nor do you (the media). I agreed with Iain Dale (see Middle Class Benefits: Luxuries We Cannot Afford) in that 'Middle Class Benefits' should be means tested. Speculation is not very helpful when it's discussed as if it has become reality. It is not yet or may not ever be reality. Do we have to put up with this continued non new's story until the spending review on 20th October. I expect we do but I would prefer not argue about something that has not happened. Mark Reckons has decided to finish blogging. Who can blame him. Blogging especially at Marks level becomes very demanding and can take over your life. The media can call you at any time of night, you can be asked questions about the patry when your not an MP. You get dragged into long twitter discussions. You have to keep your blog up to date with regular comment conduct research which takes time and eats into your private life. This the only way to keep your blog popular. It can become an addiction. So I can't blame him for stopping. Mark setup Bracknell blog and has helped me out on many many occasions. Mark is also an active member of the local Liberal Democrats and we have been knocking on doors together during his local election campaigns and at other times. I really enjoy Marks passion for his subjects and his vast political knowledge. I do remember Marks blog gaining populaity very quickly after this post in May 2009Has our electoral system contributed to the MPs expenses scandal? This analysis was linked to and referred to by MP's even on Question Time. Also in May 2009 Andrew Mackay's now famous puplic meeting happened Reaction to Andrew MacKay's meeting in Bracknell last night. During this time Mark shot up from Wikio ranking of 135 in politics to 55 in June and then 17 in August. A level he has maintained up to 13 today. Mark has also been a big campaigner for electral reform and drugs reform (I am supporting this Motion for drugs impact assessment at Lib Dem Autumn Conference which Mark is supporting. I for one will really miss Mark as will the Liberal Democrats. Although I still hope to see him soon at the Liberal Democrat conference. I wish Mark well for he is brilliant at whatever he does as his blogging and House of Comments podcasts demonstrate. Mark Reckons is the whole and only reason why I took up blogging as I was only meant to help out on this blog. So I have him to thank your allowing my voice to be heard. Mark was as I remember Jennie Rigg tweeting that Mark Reckons was becoming the Liberal Democrat Iain Dale. I think he did in all the best ways. Following on from my review of the Iraq war film 'The Hurt Locker' I thought it would only be fair to also review the other big Iraq film the Green Zone recently released on DVD. This film is much more political than the later as it covers the claim that the Pentagon made up the intelligence for the WMD (Weapons of Mass Destruction). 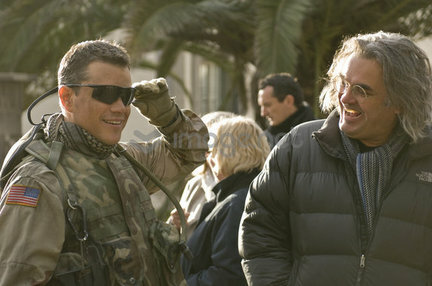 The main protagonist is Roy Miller played by Matt Damon. This makes perfect sense as the final stages of the film are fast placed and very similar in feel to a Jason Bourne film. This makes even more sense as Paul Greengrass the director has made this film in a similar vain. 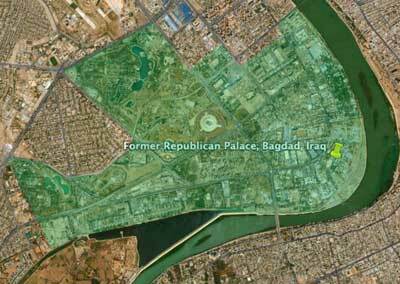 Warrant officer Roy Miller job is to find WMD's but he keeps coming across bad intelligence and empty warehouses. Miller teams up with the CIA and a journalist who helped the Pentagon agenda by reporting a source that all the intelligence was based on you know a reliable source. Naturally the film is a tad bit unbelievable in places but especially which some very close escapes and the chase for the evidence and how Roy Miller manages to do so much without an apparent authorisation. Saying that if you can stick with it then your be enjoying an action fest one which is enjoyable although not as edgy as 'The Hurt Locker'. Green Zone walks a fine line between Bourne films and real life events. There's plenty of bangs and hand held camera action to keep you locked in, that's if you can still believe the story. In the end you can judge that Green Grass himself does not believe the government and puts his own gloss on an unproven but possible government conspiracy. In the end Green Zone is a fictional film that some may read as fact. but that's ok it's important to question the governments about their motive for war in Iraq as the fact we went to war in it self still seem unbelievable to me. that was not fiction however. So this film is again worth a watch but not for the same reasons as 'The Hurt Locker' but because its a damn good ride. 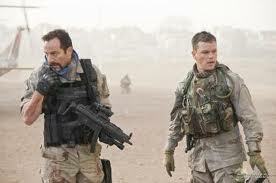 If you want to know what other films based on the Iraq war then do check out' Ranked: The Best and Worst Iraq/Afghanistan War Films' at Metacritic here. Others in Labour have called these MP's traitors see Labour list here or the Guardian here. I don't see these appointments as a bad thing. I think its good to have inclusive government after all in the case of Alan Milburn as the social mobility tsar he does bring something to the table. Alan Milburn did undertake a major study on social mobility for the Labour government which did not take up any of his proposals. Why should we think that all the best MP's are indeed in the coalition. Perhaps we can find some who can advise the government who have experience in government like the odd ex Labour minister. After all one thing this new coalition government lacks its experience. It appears we have found some on the other side of the house. I was recently lucky enough to be asked to take part in the 'What does Bracknell Think' opinion section of The Bracknell Standard. The question was 'Would you want to eat meat and milk from cloned animals'? "I would not be too concerned about eating meat from a cloned cow. Personally I'm more concerned about cross contamination in the natural world from genetically modified food. I do think that this episode shows a fundamental problem in our farming industry, Which is the reliance on foreign imports where regulations are different. 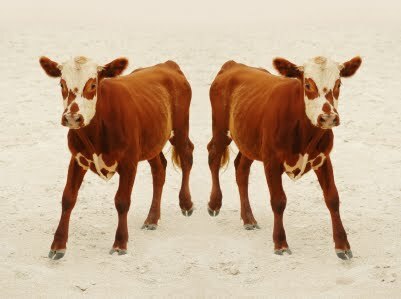 In this case I believe the cloned cow was from the US. Farmers simply do not receive enough funds from supermarkets to give them a decent living. This has lend to more reliance on foreign imports both in food terms and in this case breeding. This is the real problem along with the lack of British farming to cover our growing population leading to more reliance on imports." Bid for old bin policy rubbished - Local Tories don't agree with Communities secretary Eric Pickles. Threatened ASBOs do the job - I'm not a fan of ASBO's myself. Redwood again - Time to speak for the UK, Mr Hague - On a EU fine for not displaying flags. I agree with John Redwood it's not a EU the country. No country should pay these fines. Iain Dale has the latest letter from Geraldine Dreadful MP Writes ... to Ann Widdecombe. 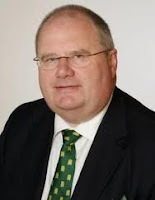 Tom Watson MP 'I support Eric Pickles' and so does Tom Harris MP (both Labour MP's you know). The Northfolk Blogger reports on Deluded Norwich labour - Any depths, any lie will do ! There has been all kinds attacks on the coalition cuts all over the web and warnings of a double dip recession after yesterdays Bank of England forecast of a 'choppy economic recovery'. 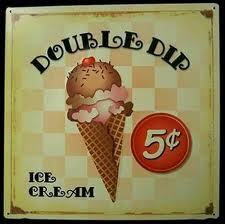 While less than 3% growth is not great its still not a double dip recession so lets not panic just yet. The way some have reacted you would think that we are back in a recession. If we keep on talking about a double dip recession it will happen because even those that can spend or even need to spend well hold of on those planned purchases and ties goes for business too. For what it's worth I think government spending should be cut as it cannot be sustained and I would like to see admin inefficiencies removed. By the same token I would like to see more capital projects like in the states for example the High-speed rail plans is a great example. The good thing about capital spending is that we all get a permanent asset which the country can use. One of the real keys as Mervyn King said is small business bank lending. I believe the sooner we split up the banks the better so they can get on with lending funds to business. I'm willing to admit as a Lib Dem that I don't fully agree myself with having cuts too quickly but I do agree that we must have the cuts. I'm somewhere between the coalition and the Labour party on this (I guess that's what makes me a Lib Dem right). I do think however that this is a gamble and a fine line between pleasing the markets (the reason why we are cutting to keep the interest payments down and rate) and not going into a double dip recession. If the banks can get the money flowing then there won't be a recession but personally I'm not enjoying the ride. Hold on tight people it's going to get bumpy but try not to panic. Todays Links related to this Norfolk Blogger postDouble Dip Recession ? We were warned ! also agree with joint Lib Dem and Conservative announcements. This is not a us verse them it should be us and them verse them. Sometimes we should even disagree with our coalition partner. parties attacking another. Us attacking them and them attacking them. I wanted to share this scientific look at AV from the London School of Economics with my readers. As reported yesterday in the Independent 'Rupert Murdoch claims to own the 'Sky' in 'Skype'' Skype (the free to use international internet video link service) has noted in its application to the Nasdaq stock exchange that "in respect of the Skype name are being opposed by BSkyB plc". Shame that will not help them achive the price they may have been hoping for. Rupert Murdoch must be quite concerned about Skype. He is not a fan of free to use services. In honour of what Sky does not yet own with the word Sky in it Stephen Glenn lists 'Ten Things that Rupert Murdoch Doesn't Own'. Dangerous as Rupert Murdoch may use this list next. Following politics closely can give you a different prospective on the world of breaking news stories to that of the 24hour news media. Take the scrap free milk for children under five story which was reported as the government not knowing what it is doing by most news channels. I think this error was mostly all down to the Conservative MP for Guildford not knowing the difference between what has been decided on and what is up for discussion. Of course this looked worse when the PM office heard the story and released a press statement saying that this is not a coalition government plan. Catching Minister David Willetts who never out. If this story was to be spun well then as soon as David Willetts interview had finished then the Prime Minister office should of made the statement. This is why sometimes spin becomes a necessary evil in the 24 hour media world. Because the news media will run with the story and then make out that there has been confusion when the was simply an error my one minister. Firstly I don't think David Willetts was caught out as he said on the Andrew Marr show that a number of options are up for discussion which keeps him in the clear. Secondly Shadow health secretary Andy Burnham said the "chaos" was "shambolic" and undermined the PM's ministers. This political tactic worked well and the media used the chaotic term. I can see now that this may of happened to Labour from time to time and I guess I understand if it did. Interesting how the tables turn. Thirdly this was the media chance to remind everyone how 'evil' Margaret Thatcher was when she took away the milk from over-7s. Interesting how there was no mention of Wilson's 1968 Labour government taking milk away from secondary school pupils. As pointed out by John Redwoods rather enjoyable rant here. Personally as someone who is having a child soon I would prefer milk to be replaced by fruit. 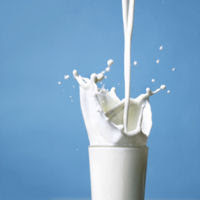 I have a dislike of milk as I did have it at school and I was constantly made sick by warm full fat milk. This put me right of milk in my younger days. Incidentally Anne Milton is the same MP who said that doctors should tell people they are fat rather than obese. I think its up to them but to me fat actually sounds kind of than obese. Im expecting a few more mistakes from Mrs Milton I think she could be one to keep an eye on. I found these at the Earls Court CAMRA Great British beer festival yesterday I put this picture on twitter. It was Re-Tweeted many times yesterday. Political parties see surge in new members - The parties are arguing about how many more members they have. Perhaps they should all simply be happy to have more members. Green Gabbles asks if this is News or advertisment? Reading List return with the top of the Berkshire Blogs for June as did Green Reading last week here will they both continue? Left Outside examines if Does China threaten the Environment? And finally todays link is to the http://failblog.org/ always a bit of fun. Damn I just hate it when I agree with David Cameron PM and disagree inpart atleast with Simon Hughes Deputy Lib Dem. David Cameron has said "Tenants could be given fixed terms of up to 10 years and move on if their circumstances had changed". Well I have to say I think this is worth looking at. When social housing is now so hard to come by and is in such demand it makes sence that if your family move out then perhaps you should move to a smaller home. Many people do keep their council house and hold on too it when their circumstances have changed. I agree with Simon that this is not in the coalition agreement or policy for the Tories or the Lib Dems. If so perhaps this should be a policy for a future manifesto and not tabled during the coalition. But I do agree with the idea. Is it really fair to allow people to hang on for years to a family council home while other families wait? The BBC has the full story here Lib Dems wary of Cameron social housing plan - Hughes. As does Lib Dem Sara Bedford on Lib Dem Voice here Social housing: a home for life? I think its great that while we wait still for the development of the town one corner has had an injection of life into it thanks to Bracknell small ethnic community and in particular its Ghanaian community. I first heard this amazing story of the unknown Democratic Senatorial candidate Alvin M Greene from the BBC radio 4 doc Americana. It's an extraordinary interview about his strategy for becoming a senator of South Carolina. It also gets cut off at the end after a question Mr Greene doesn't like. Hes certainly no politican which is a little refreshing. Mr Greene won with only a $200 dollar campaign. He is unemployed and lives with his father, who he is a full time carer for. Vic Rawl requested a re run of the Democrat primary after a number of controversial questions were asked of Greene's shock victory. There was speculation that Greene was a Republican plant, questions over his filing fee payment and speculation on how he left he military. There was also a low voter turnout of just over 22% in a fully open primary. I'm really not sure if Alvin M Greene is good or bad for democracy just watch this interview. But then again who is to say is isn't after all some Republican have some very right wing ideas. It's really amazing that someone with no funds can get this far in the US. Is this because no one was paying any attention to the Democrats? As South Carolina has been Republican since the 1980's. Mr Greene certainly appears to have his enemies now (Just see the video above). I was going to add a Hip Hop video based on Alvin Greene's campaign 'Alvin Greene is on the scene' but this was removed from You Tube due to copyright claim. So is this a good example of democracy working or a bad example. I still can't decide. I enjoyed this fun but topical rap video on protecting internet freedom so I thought I would share it with you. Enjoy.